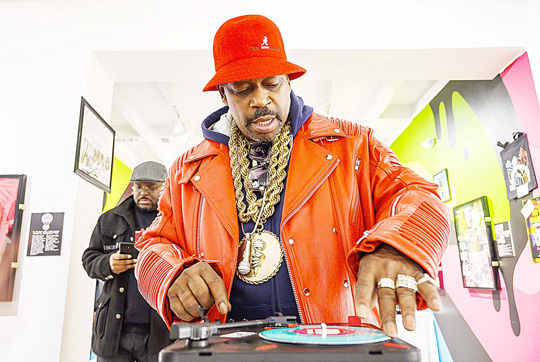 Forty years ago, hip-hop was little known outside its birthplace, New York until the Sugarhill Gang decided to record their rhymes, launching the genre’s rise as a dominant cultural and commercial force. The result was the group’s 1979 smash “Rapper’s Delight”―which is credited as the commercial start of an unforgettable era in music. In 2011, “Rapper’s Delight” was even added to the prestigious National Registry at the Library of Congress―a nod to its role in ushering in a brand new genre. The MCs -- short for “masters of ceremony”―were primarily on stage to support the DJs. Early rap and hip-hop were focused on the principles of “peace, love, unity and having fun”―a cocktail that blended a festive atmosphere with a medium used by black people to express themselves. Taking on social ills became signature to rap―a musical revolution that, like hip-hop’s rise to commercial fame, happened at first by accident. Today he considers the song “the most important hip-hop record ever made”―but at the time of its release, it was hardly a hit.